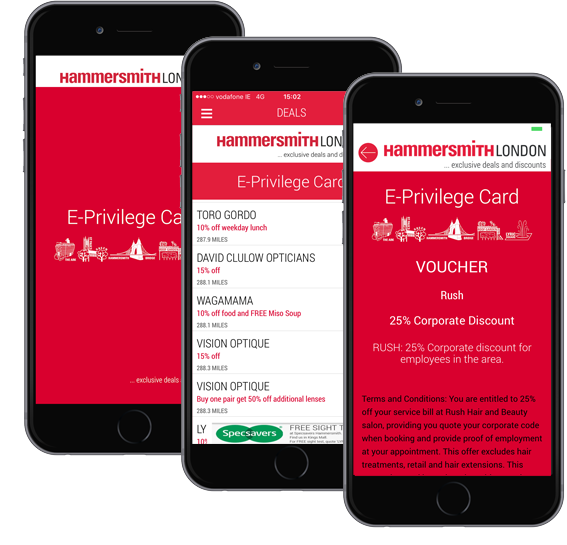 The E-Privilege Card promotes discounts, deals and offers for stores on Hammersmith High Street. To use the app, go to the participating shop in Hammersmith and click “redeem”, ask in store for your discount code and enter it in, then show your voucher to enjoy your discount. 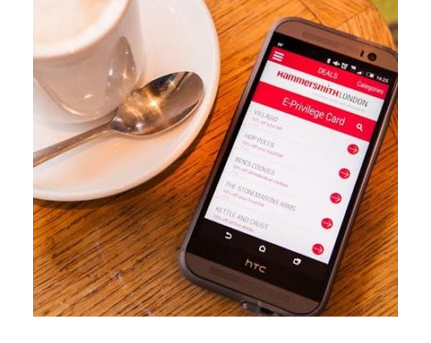 HammersmithLondon BID director, Patricia Bench, said: “For many years now we’ve run a very successful Privilege Card scheme but we’re finding that more and more people are using their smartphones to shop. “We wanted to create something for the modern shopper, something that would improve their Hammersmith experience by giving them great money-off deals at the touch of a button. Driven by our CMS, the listed businesses can on-demand launch and/or amend a promotion within minutes. In 2015 over 3,000 users registered over 180,000 session.